The Tour of Scenic Brent is tomorrow, Saturday 23 June. This ride explores the surprising scenic, historic and curious locations in the borough. Starting from Kingsbury Station, we see where the TV age started, we explore Roe Green Village and see the Kingsbury cottages, we see the oldest building in Brent, visit the Welsh Harp, Gladstone and Roundwood Parks, see the amazing Neasden Temple, and follow the Brent River park back to Wembley, finishing off with a ride over Barn Hill, where you can imagine how Middlesex was before it got built all over. Meet 11:00 Kingsbury Station. 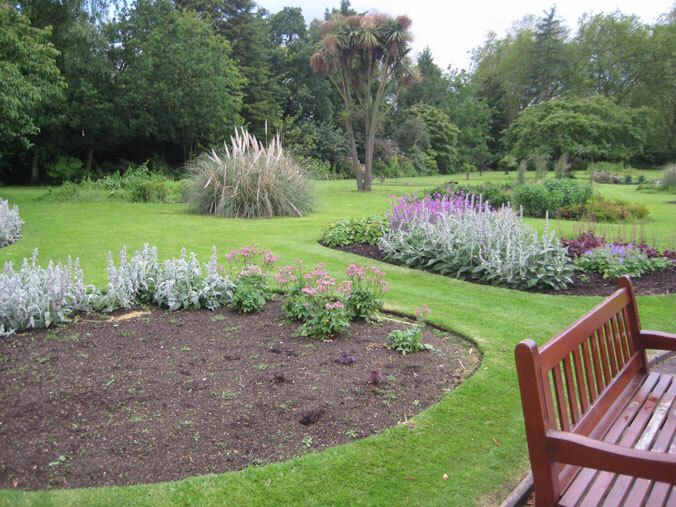 Lunch at Gladstone Park café. Mostly on minor roads and paths: suitable for all cyclists, including families. Some of the paths will be muddy from recent rain, so very thin tyres not recommended. 17 miles round trip, returning to Kingsbury by 5pm. Here are some photos I took on the route yesterday. Kingsbury Manor, in Roe Green Park, built for Millicent Leveson-Gower, Duchess of Sutherland, in 1899 as a country home near London. She was married three times, and known as a society hostess, social reformer, and author. A plaque on the stable block at Kingsbury Manor commemorating the work of John Logie Baird, pioneer of television, on this site. 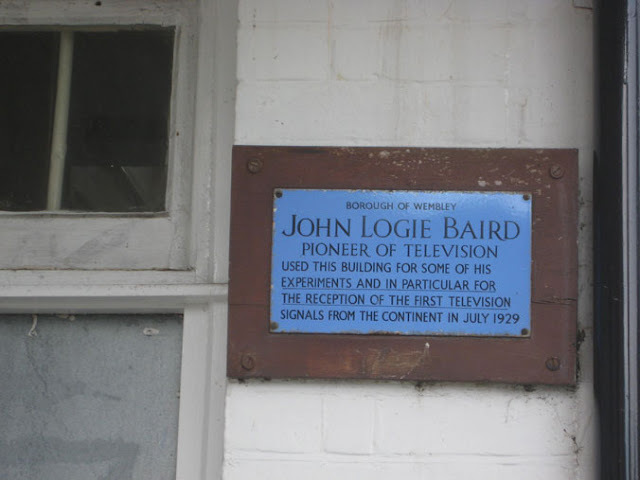 The base of his transmitter can still be seen. 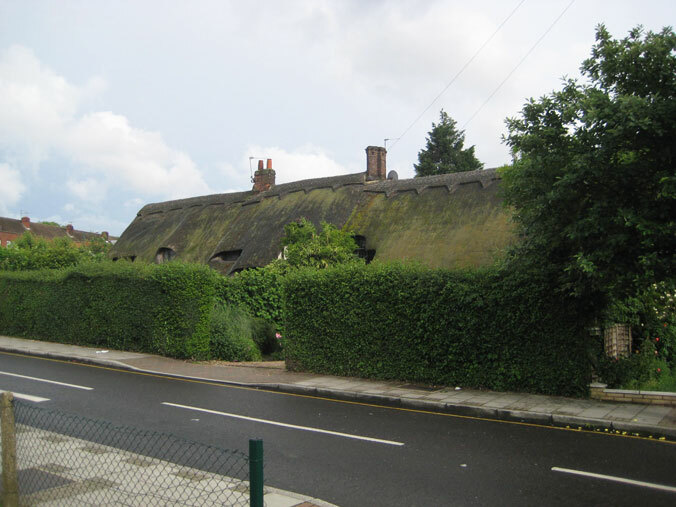 One of the "rustic" cottages built by architect extraordinaire Ernest Trobridge in Kingsbury in the 1920s. 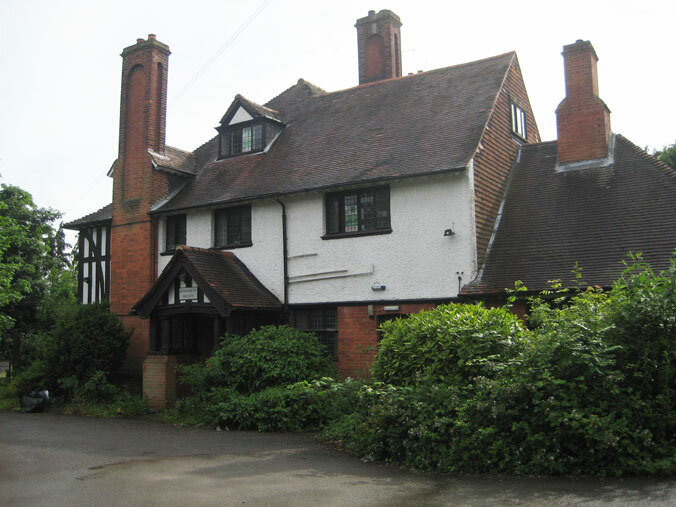 He also built the castellated flats and houses nearby on Wakeman's Hill. 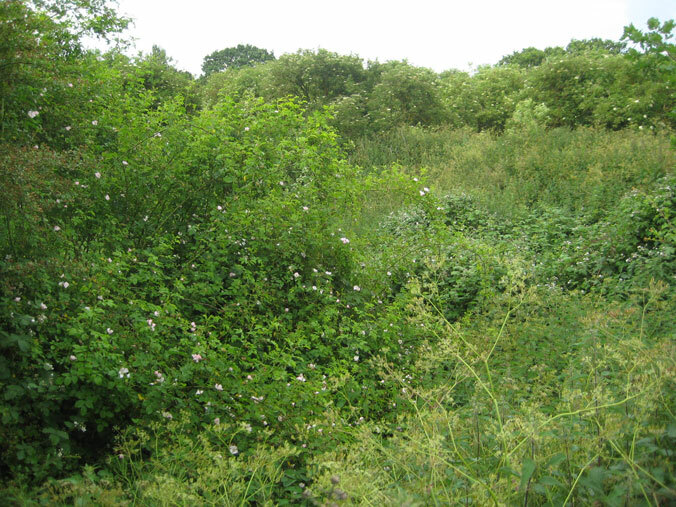 An overgrown ring by the Brent Reservoir which is all that can be seen of the first cycle racing track built in England, date unknown to me. It is not clear to me if this is location of the "first formal cycle race" mentioned in the Wikipedia Article on the reservoir, in 1868, or if, as seems more likely, this was built later. 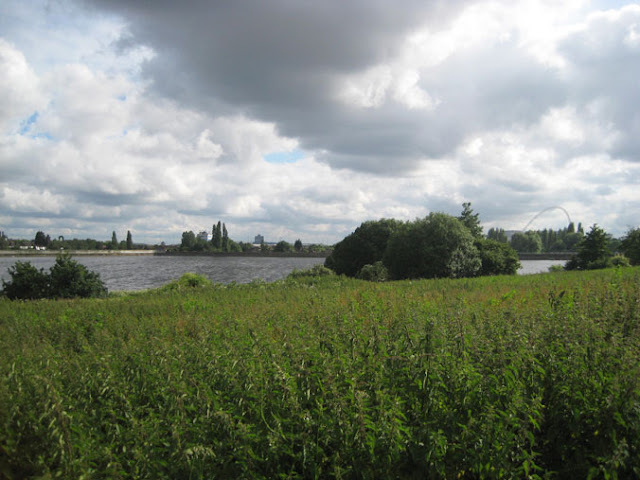 The Brent Reservoir, or Welsh Harp, created in 1834 to supply water to the Grand Union Canal. It was originally four times its present size. 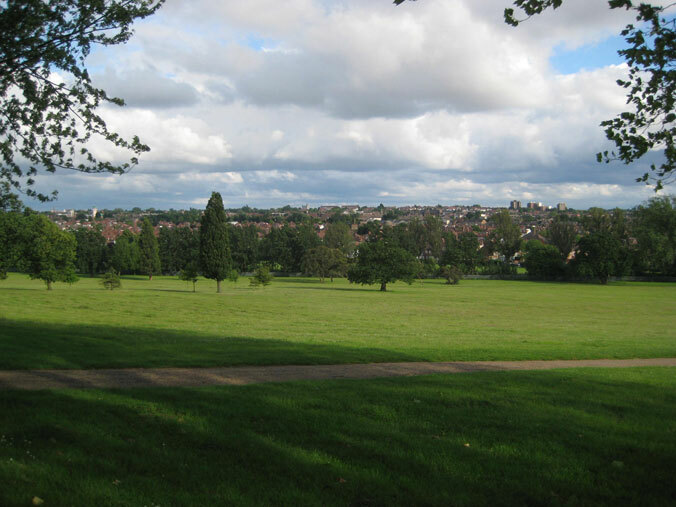 The view from Gladstone Park. Bought by the council in 1900, it was named after William Gladstone, four times Liberal Prime Minister, who died in 1898, You can now see the Telecom Tower and The Shard from here. 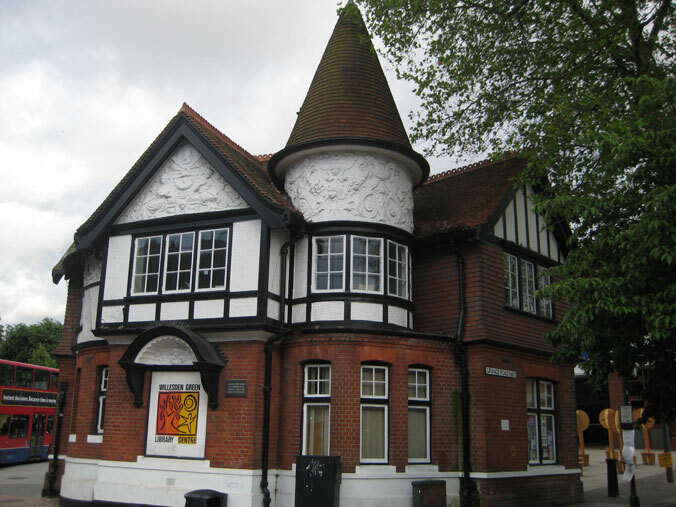 Willesden old library "established in 1894 following a poll of the ratepayers of Willesden". Brent Council is currently (and controversially) planning to demolish it. 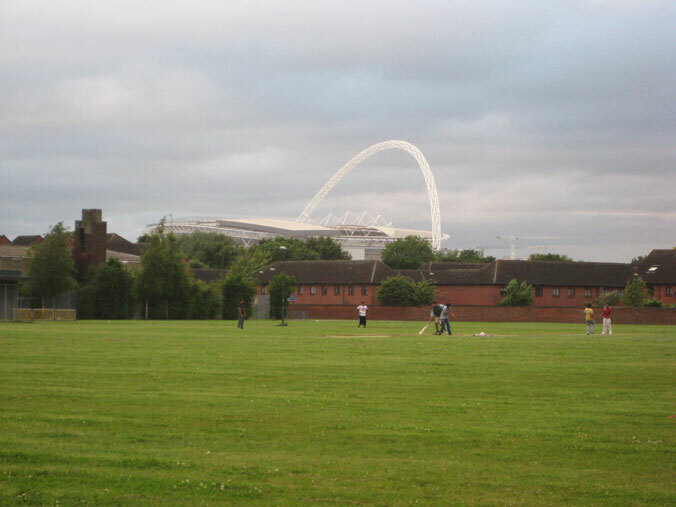 View of Wembley Stadium from Gibbons Recreation Ground. The new stadium was designed by Foster and Partners and opened in 2007. 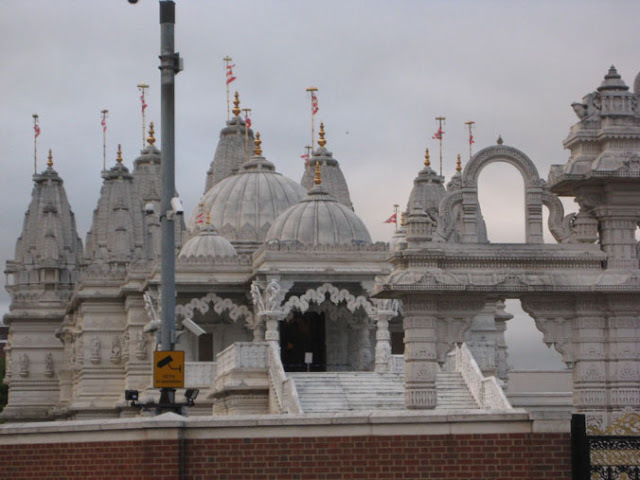 Neasden Temple (Shri Swaminarayan Mandir), the largest Hindu temple outside India, opened in 1995. Built of Bulgarian limestone and Italian marble, each block first shipped to India to be carved before sending to England, it cost £12 million to build. 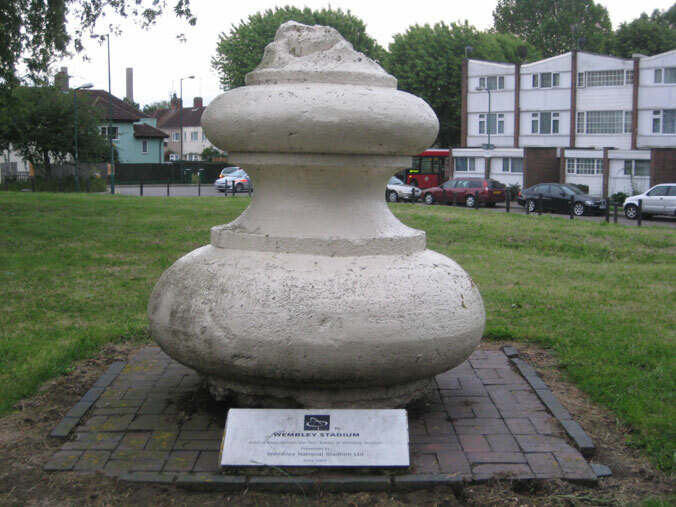 In the Brent River Park can be seen the base of the flagpole from the top of one of the towers of the original Wembley Stadium, built in 1923 for the British Empire Exhibition. The original stadium was built over the foundations of "Watkin's Folly", a tower that was intended to surpass the Eiffel Tower, but never completed. The stadium hosted the 1948 Olympic Games and was demolished in 2003. 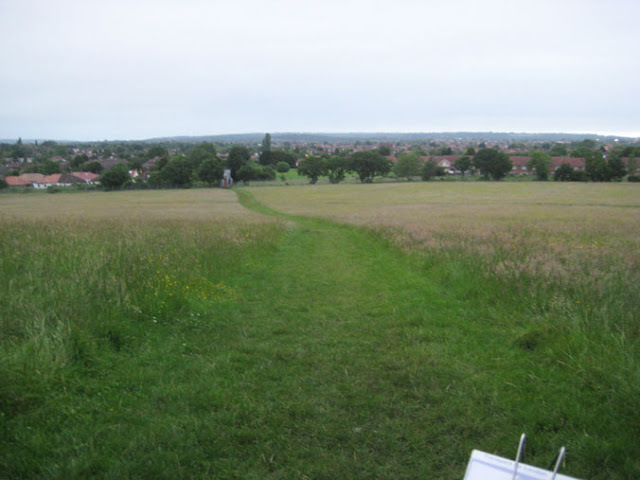 View northwards across Fryent Country Park from Barn Hill. This land was bought by Middlesex County Council in 1935, and has been kept as traditional hay meadows.